Kicking off another exciting series in partnership with the Jefferson Parish East Bank Regional Library, Hall Piano Company and the Steinway Society of New Orleans present hometown favorite, pianist Matt Lemmler, on Wednesday, January 28th at 7:00PM. Kicking off another exciting series in partnership with the Jefferson Parish East Bank Regional Library, Hall Piano Company and the Steinway Society of New Orleans present hometown favorite, pianist Matt Lemmler, on Wednesday, January 28th at 7:00PM. In “Conversations with the Artist” Lemmler will perform great American standards and address the history and unique nature of this genre. Sponsored by South Louisiana’s premier Steinway dealer, Hall Piano Company, the concert is free and open to the public. The East Bank Regional Library is located at 4747 West Napoleon Avenue in Metairie. Guest artist and New Orleans native Matt Lemmler specializes in New Orleans jazz and improvised classical music. Growing up in New Orleans’ Ninth Ward, Lemmler has integrated the very soul of New Orleans music into his life from a young age. 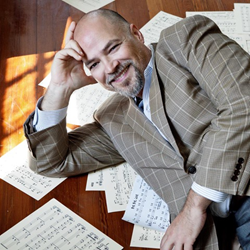 An accomplished jazz pianist, vocalist, arranger, producer and educator with a career spanning more than 30years, Lemmler’s musicianship has been praised by prestigious publications and critics both nationally and internationally. For additional information about Conversations with the Artist: Matt Lemmler on Great American Standards, contact Emily McWilliams at emilym(at)hallpiano(dot)com or call 504.733.TUNE.